How can I find a tournament? Why PayPal is not showing credit card option sometimes? When using PayPal to process payments for your event, players should have the choice to pay using a credit/debit card or by signing up or logging in to their PayPal account. Signing up for a PayPal account shouldn't be required by default, but we recommend checking this setting to make sure your players can complete their purchase as smoothly as possible. 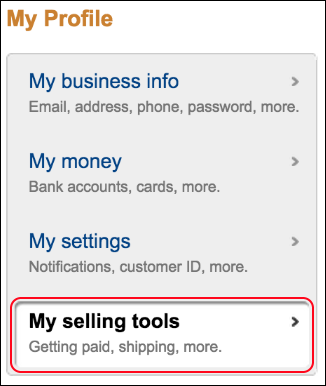 To check this, log in to PayPal, go to your profile and settings, and select "My selling tools." Then choose "Update" next to your "Website preferences" and make sure the "PayPal Account Optional" feature is turned on. 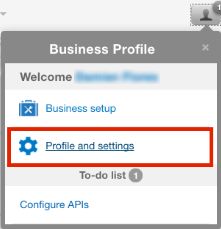 Your account must be either Premier or Business. Personal type accounts do not have this option. The email address you use to log into your PayPal Account must be verified. Bank Account linked and verified. Credit Card linked and verified. Select "Update" next to "Website preferences." Make sure the " PayPal Account Optional" feature is turned on. Choose "Save" to save the changes to your website preferences. As attendees are registering on your event page, they'll have the choice of signing in to their PayPal account or paying directly with a credit or debit card.